Three more groups have sued the U.S. Fish and Wildlife Service over protections for grizzly bears in the Greater Yellowstone area. The news comes, as expected, after WildEarth Guardians filed suit against the USFWS almost immediately after the mandatory 60-day hold period. According to the Billings Gazette, the Alliance for the Wild Rockies, Western Watersheds Project and the Native Ecosystems Council filed suit Wednesday. This brings the number of lawsuits against the USFWS up to five. Most of the suits share similar concerns—that the USFWS is ignoring threats to Yellowstone grizzlies and have improperly sought delisting. The USFWS previously announced their intent to delist Yellowstone grizzlies in early June 2017. The decision, in its current iteration, has been in the works since 2015, when then-USFWS director Dan Ashe penned a letter to state wildlife agencies signaling the agency’s approval of delisting. 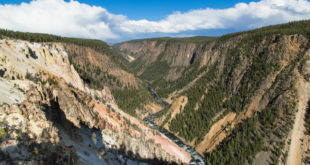 Before that, the USFWS sought to delist Yellowstone grizzlies in 2007; after a brief period outside the aegis of the Endangered Species Act, the bears were placed back on the list by a U.S. District Judge, who argued the USFWS had not properly considered the impacts of climate change on the bear’s food supply. 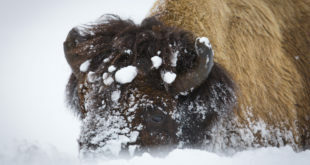 Another complaint, announced earlier this summer, comes from a coalition of U.S. and Canadian tribes, challenging the USFWS’ decision on religious grounds, arguing the decision violates their spiritual beliefs. Management of Yellowstone area grizzlies transferred to the states of Montana, Wyoming and Idaho July 31, 2017.